A member of the team sent into Isla Sorna to observe and document its dinosaurs. Nick Van Owen was John Hammond’s choice for video documentarian, having done lots of work in combat situations. He even did volunteer work with Greenpeace, though he openly admitted he only did so because Greenpeace was 80% female, at least according to him. Nick was also a notorious ecoterrorist and active environmentalist. In fact, that was another reason Hammond hired him. When it became known that Peter Ludlow’s men were running down and capturing dinosaurs, Nick acted fast. He broke the locks on the dinosaur’s cages using bolt cutters, allowing them to break free and also sabotaged the hunters‘ vehicles. Going on opposite terms, Nick and Roland Tembo had opposite views since the beginning. He even later personally stole the shells from Roland’s rifle. Finding a badly injured baby Tyrannosaur with a broken leg, he took it back to Sarah Harding and they brought it to the mobile lab trailer where they mended its leg. Nick later saved Sarah and Kelly Malcolm by pulling them behind a waterfall to escape the pursuing mother Tyrannosaur. 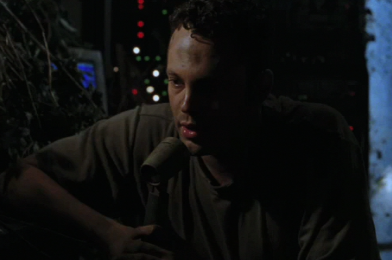 Shortly after, Nick got the old InGen communications center working in the Worker’s Village so that they could call for help. Some of the video equipment used by Nick Van Owen include a Nikon F5 camera and a JVC GR-DVM1 compact digital video camera. 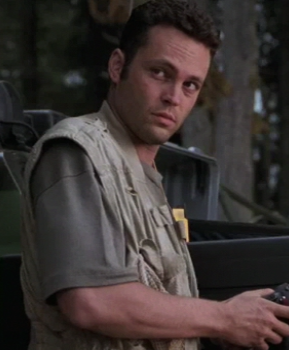 Nick Van Owen was played by Vince Vaughn.